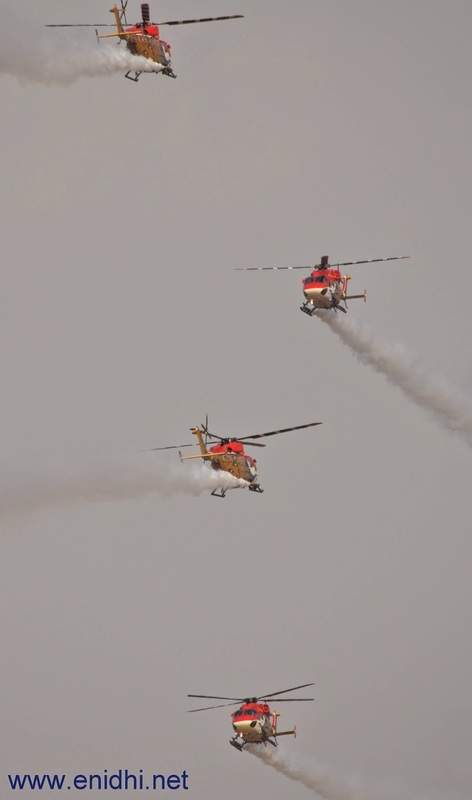 For this week's Skywatch Friday, it is pictures of Sarang Helicopters in the sky from recently concluded Aero India 2015. With metal birds creating formations and leaving smoke trails, below are some clicks I could manage from the General visitor area. 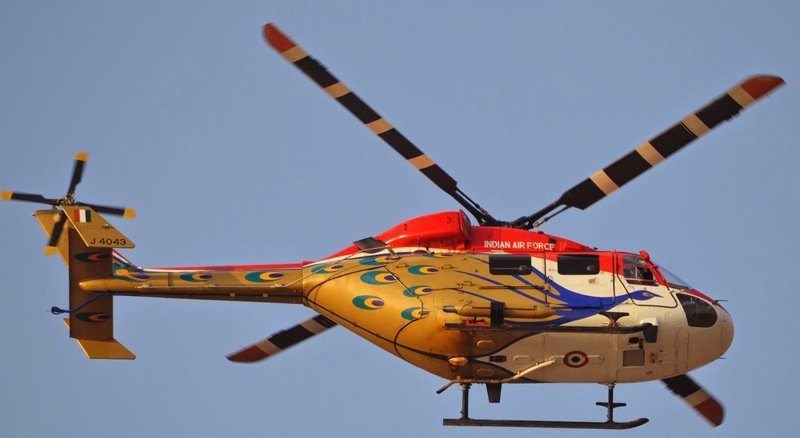 The Sarang Helicopters of the Indian Air Force. These beautifully painted (painted to resemble peacocks) do different stunts and maneuvers in the sky. Above: Sarangs crossing each other in opposite direction.It looks like they are flying close from a distance, but they are maintaining decent gap. I love the paint job on the helicopters. Great job photographing them. WOW These pictures are amazing.